Headquartered in Akron, Court Reporters, Inc. is a team of dedicated, professional court reporters with additional offices in Canton and Cleveland. Owner Binnie Martino explains that FairlawnGig has been a turning point for her business. Internet and phone outages as well as shaky bandwidth preventing video conferencing were all challenges facing Court Reporters, Inc. prior to FairlawnGig. 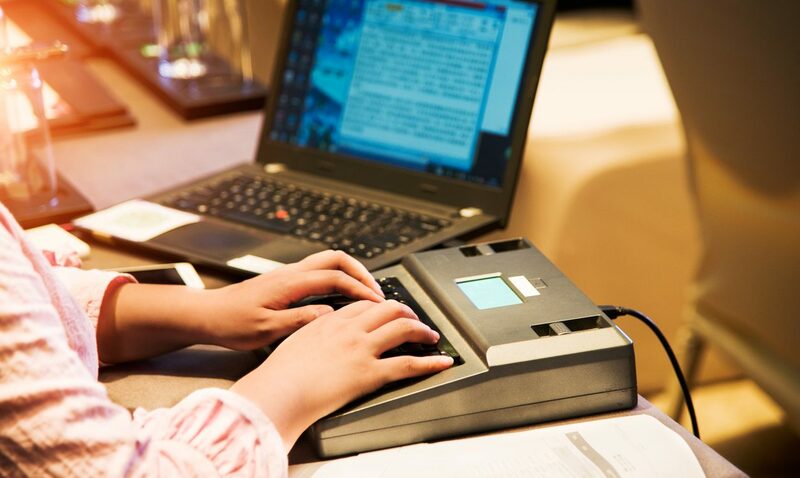 Obviously, Court Reporters, Inc. uses the Internet for its business every day – but more importantly, the team relies on phone systems and video conferencing as a part of their daily job duties. Binnie explains that trying Internet phones (VoIP) with their previous carrier was inconsistent as outages were a regular, if not daily occurrence. Additionally, her phone provider was charging exorbitant fees for phones that were constantly needing service as a result of outdated equipment and infrastructure. “The phones were breaking down more than they were working” explains Martino. Simply upgrading from their previous phone and Internet provider gave Court Reporters an infrastructure upgrade that allows for multiple video conferences where even one had been a challenge before FairlawnGig.